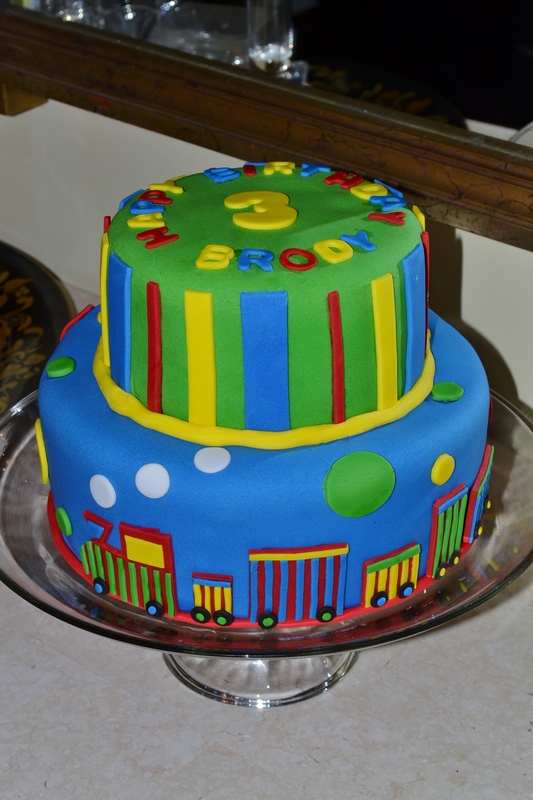 I created this cake for my cousin’s son’s third birthday. When designing the cake, my first question for her was if she had a theme or colors in mind as I always like for my cakes to complement the other elements of the party. She didn’t, but she did mention several things that he loved. At the top of that list were trains. She also told me that she would like to use bright colors. It was this basic information that inspired this creation.